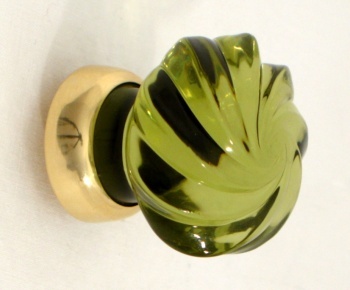 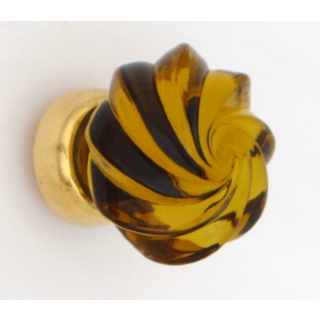 Highly decorative solid glass whirl cupboard knobs. 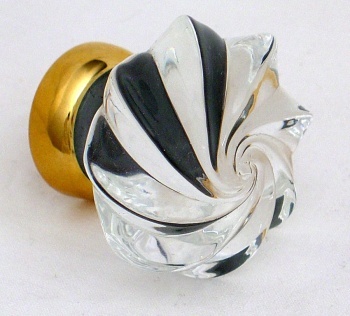 Extremely elegant folds of glass in a spiral arrangement. 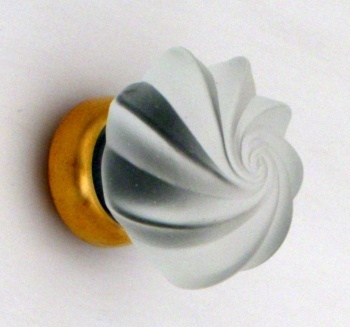 Truly beautiful design.